In the summer of 2007, French actress and singer Charlotte Gainsbourg had a waterskiing accident in Miami. Weeks later, back home in Paris, she started having terrible headaches. At her sister’s urging, Gainsbourg, 38, who makes a stop on her brief U.S. tour at the Theatre of the Living Arts tonight, went to get an MRI, or in French, an IRM, for imagerie par résonance magnétique. The surgery was successful. And over subsequent months, Gainsbourg – who played Heath-Ledger-as-Bob-Dylan’s wife in Todd Haynes’ I’m Not There and won the best-actress prize at last year’s Cannes Film Festival for her role in Lars von Trier’s controversial horror film Antichrist – kept getting more MRIs to make sure the crisis had passed. « It was the only way of reassuring myself that I wasn’t going to die, » Gainsbourg said. « There’s something very chaotic about those sounds and being in that box. The whole thing is very strange and violent. 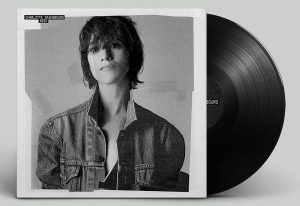 Gainsbourg, who worked with Beck producer Nigel Godrich as well as Jarvis Cocker and the French duo Air on her previous album, 2007’s 5:55, suggested to Beck that he use her experiences inside a long metal tube as songwriting inspiration. But a sense of unsettled and imaginatively arranged urgency runs throughout the album, which comes off like a feminine electro-folk mirror image of Beck’s Godrich-produced albums Mutations and Sea Change. Gainsbourg came up with titles for IRM’s songs, « and I was trying to write lyrics, but I couldn’t, » she says. « Then Beck would start from scratch and be done in, like, 10 minutes.